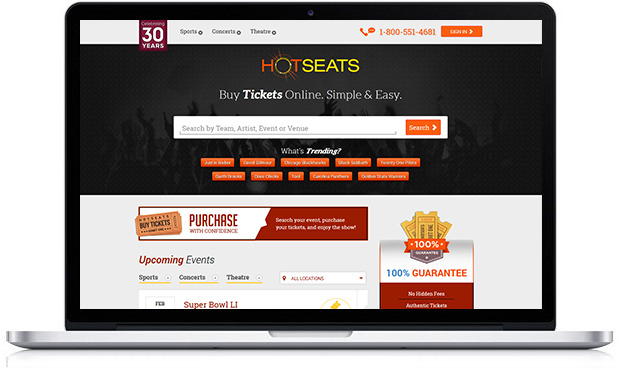 Since 1984, Hot Seats Ticket Service has been the source for quality upfront seating. The key to our success is simple - FAST, FRIENDLY, and RELIABLE service. Place your trust and confidence in us and be assured that you will receive the best in customer service. 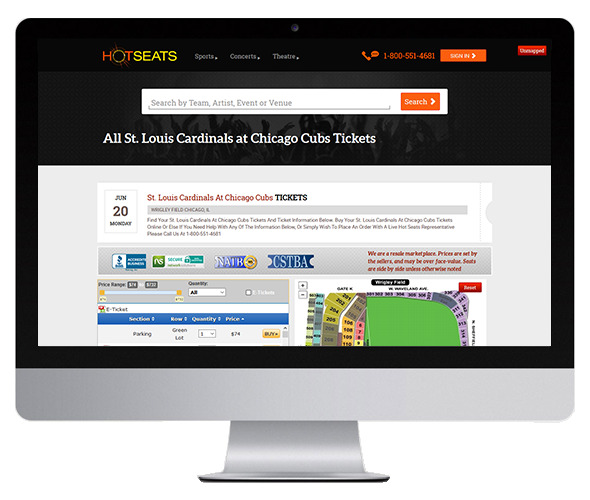 Unlike several other major brokers, Hot Seats WILL NOT charge you any hidden fees or additional service charges on your ticket price when you order from us. We sell tickets at the price we advertise them for - period. 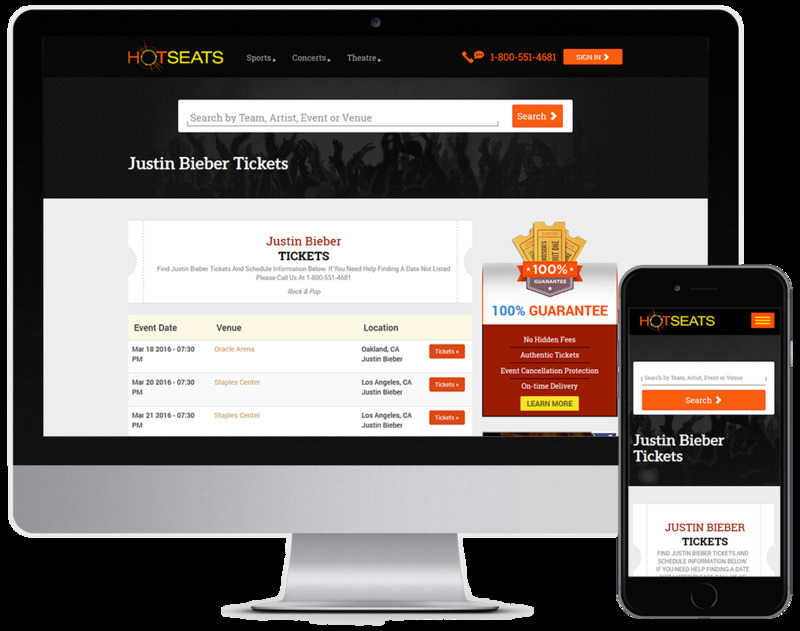 Hot Seats is based around one function first and foremost - ticket searches. We designed a simple search function, which ensured the results are easy to select, view, print, download, email or save. 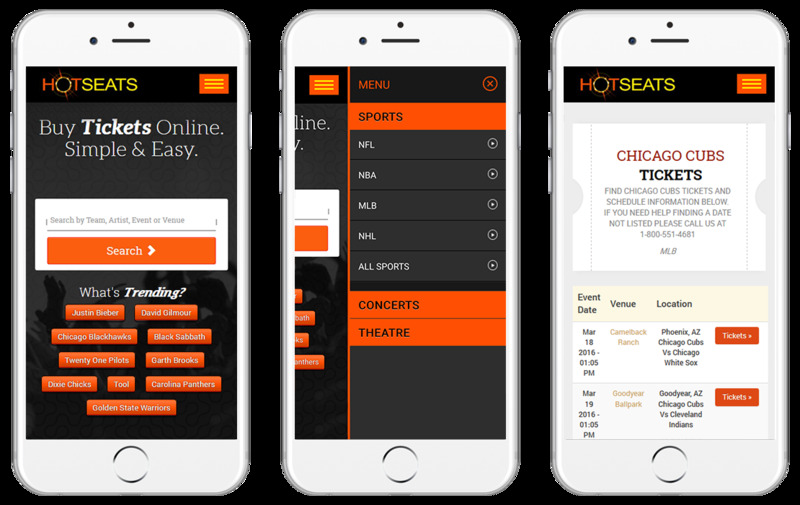 We integrated the Hot Seats website with the most flexible and robust API, TicketEvolution, to create their own unique ticket experience on their website while allowing them to maintain their brand. Orders are pulled via API to their admin panel in order to manage all their ticket sales in one system.